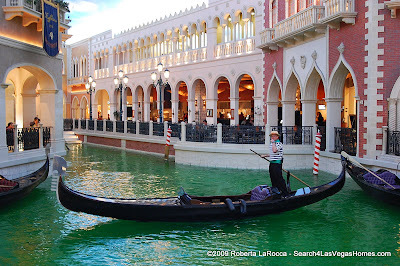 Of course everyone is Irish for Saint Patty's Day, and even the canals at the Venetian Las Vegas Resort have been dyed green. While I've been very busy, I was able to sneak away to catch a little bit of the annual parade and festival in Henderson. This community event is presented by the Las Vegas Sons of Erin, and their 43rd here in the Las Vegas Valley. The 4 day Festival and it's parade has many sponsors and participants, making it a true community event for all ages. The carnival with it's rides and food booths is held in the Henderson Events Plaza, with the parade running right by it on Water St. There are a variety of activities and free entertainment, so a great time for the well attended festivities. You'll see everyone from Las Vegas' Fox 5 TV personalities, childrens, unions, law enforcement or veteran groups, Shriners, clowns and so many more. Even former Lt. Governor Dr. Lonnie Hammargren had one of his famous Las Vegas signs in tow as he played one his accordions on his float. I tried to include as many as I could in the slideshow, but with my ace photographer taking over 700 shots I really couldn't show them all, and added these in better quality to my Picasa Photo Album, where they are also able to be downloaded. So while not all the pictures, at least you'll get a little idea of what this Henderson St. Patrick's Day celebration is all about. So on to the pictures! To watch full screen, instead of using PLAY, click the HD or Full Screen button on the bottom of the player below, and when finished click it again or use the ESC key to return. The Henderson Saint Patrick's Day Parade and Festival is just one more of the many community and seasonal events found here in the Las Vegas Valley. Yes, there's much more than 'just gambling', and why the Las Vegas Valley is such a great place to call home. Wow, green canals and all! Wendy: Yes, even the Italians went Irish for St. Patty's. The gondoliers' red sashes were also replaced with green. A little person was dressed as a leprechaun, and if you saw him and said 'luck of the Irish', he would give you a gold coin. Some were just collectibles, others good for a free gondola ride. Hi Roberta, Enjoyed the pictures of the St. Patrick's Parade. Nicely done, thanks for sharing. Gary: Thanks! Glad you enjoyed the pictures. The parade and festival is a lot of fun. Dang! I missed the parade! Great pics as always! Looks like it was a blast and I'll have to catch it next year. There was a pause in your blog I sounds like you must be busy! Good thing and a good thing I subscribe to your blog so I don't miss out on all the good Vegas stuff! Bob: Yes you did miss it, it was fun. The pictures turned out pretty well considering the sun was coming right down Water St. Yes, I've been very busy as of late, but that's a good thing! Subscribing to the rss feed is the way to go, so when I have time to sneak out a blog post you won't miss it.